​​Virginia Cavaliers football is aboard the struggle bus. The Cavaliers have been at the bottom of the ACC for as long as anyone can remember. They did make it back to a bowl game last year, but they haven't won one since 2005, when they beat Minnesota in the Music City Bowl. It's gotten so bad that a recruit turned down Virginia for Elon. FCS-level, middle-of-nowhere, ELON. ​​The committee, cornerback Omar Rogers, is the 46th best player in the state of New Jersey and ranks 182 among cornerbacks in his recruiting class, according to 247sports, who was almost certain that Rogers would sign with the Cavaliers. 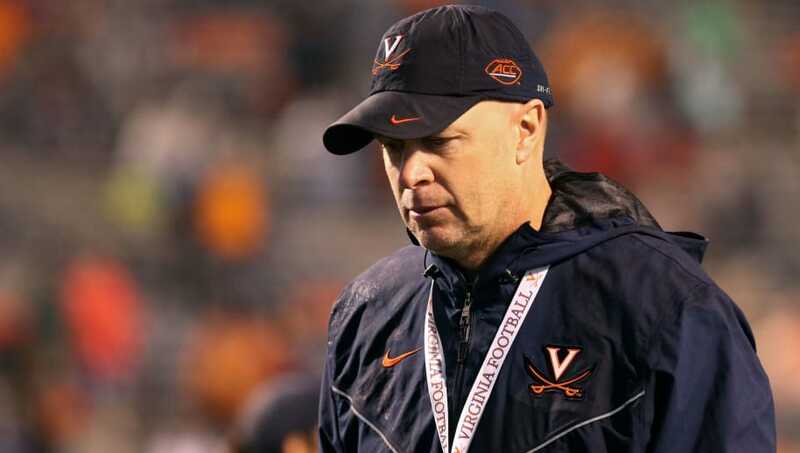 Even if Bronco Mendenhall is starting to improve things Charlottesville, it needs to become more apparent. Losing him to a better program like Miami, Penn State or even​ in-state rival Virginia Tech is one thing. However, for him to chose Elon, who for the better part of the last decade has been at the cellar of the CAA in the FBS, should be a huge embarrassment that needs to wake up Mendenhall and the rest of the football program.